Work No. 279; Everything Has Its Place.. Title; an old English saying. 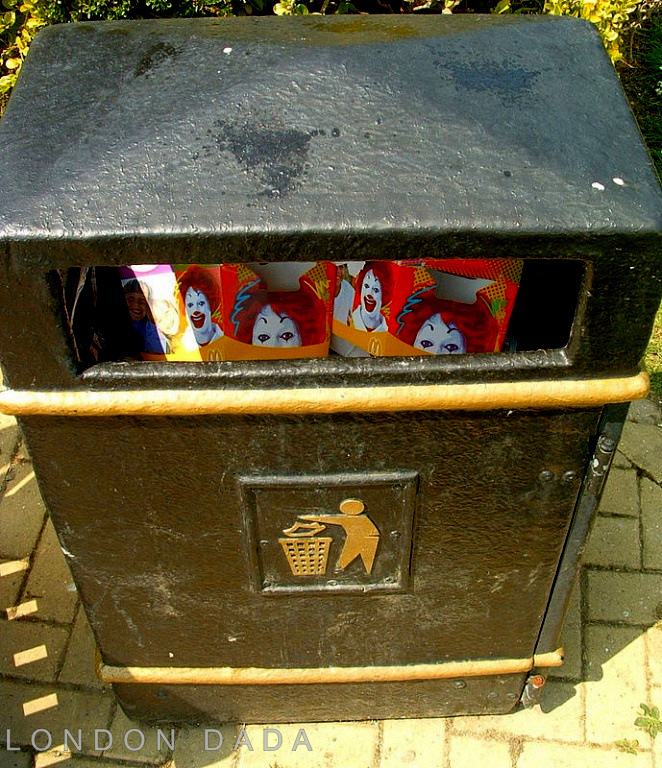 This entry was posted in Uncategorized and tagged Art, Dada, mcdonalds, NEW DADA by Michael St.Mark. Bookmark the permalink. But i block my mind when i enter on McD. so while was eating i entartained myself w/my mobilephone, my digi-cam. and so..all that helped me not to remember i was eat’g there..it’s a great trick :yes: 😉 Oh yes it is! I must confess to having a little fillet o’ fish and chips there now and again, but the hydrogenated vegetable oil they cook with always leaves me feeling queasy afterwards. I think WCG has blogged about being on holiday in Tenerife lately, she’s a real sun-worshiper at heart. Hmm yes the fish and chips are yumy :b i agree…now i must confess that yes i ate a burger with chese and bacon :)) but well that will not kill me! Anyway yes i already heard about the burgers but as i’m not sure if are true, sometimes i have one…but if you say so i will never eat none there! Only made by me, myself and I!